Brexit has already slammed the pound once. It could happen again. The currency would be put under severe pressure if Britain crashes out of the European Union next year without striking a deal on trade, according to analysts. 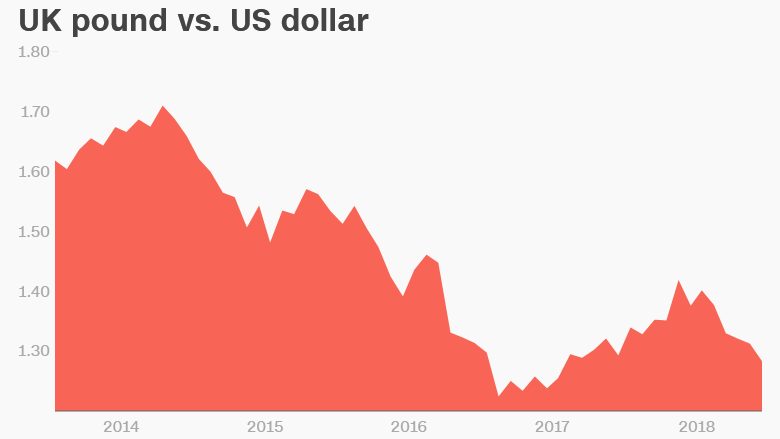 The pound plummeted after Brits voted to leave the European Union, hitting a low near $ 1.18 against the US dollar in late 2016. The currency has recovered some of its losses, but rising fears of a messy exit have caused it to weaken in recent sessions to $ 1.27. George Brown, an economist at financial firm Investec, believes the United Kingdom and European Union will get a deal ahead of the deadline in late March. But he warned the pound could fall below $ 1.10 if an agreement isn’t in place. The slow pace of negotiations has heightened fears in recent months that Britain may leave the European Union in March without a transition deal to keep it temporarily in the bloc’s single market and customs union. A sharp reaction by the pound is just one potential trouble area. Automakers, grocers and retailers have warned of dire consequences if they’re not able to receive the “just in time” deliveries that underpin their supply chains. Stocks are expected to register a more nuanced response than the UK currency. A weaker pound would make it cheaper for foreign investors to buy British stocks, which would help support prices. Many of the largest firms traded on the benchmark FTSE 100 are miners and oil companies, which make the majority of their revenue in foreign currencies outside the United Kingdom. Their earnings will get a boost when foreign sales are translated back into pounds. But not all firms are immune. “Companies which service the domestic market and are most reliant on imports would likely be hardest hit in a no-deal Brexit,” said Jonathan Davies, head of currency strategy at UBS Asset Management. 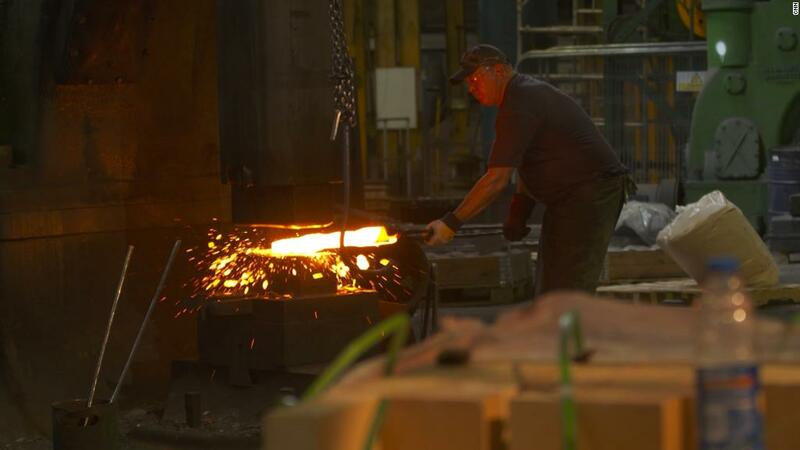 Cincotta said that British retailers and manufacturers would also face increased costs to import materials as the lower pound bites and new tariffs are imposed. “Industry-wise, soft drinks, alcoholic drinks and packaged food industries are the most sensitive to the impact of Brexit,” said Ugne Saltenyte, a macro analysis specialist at research firm Euromonitor International. Cheetham said that travel companies and airlines could suffer. 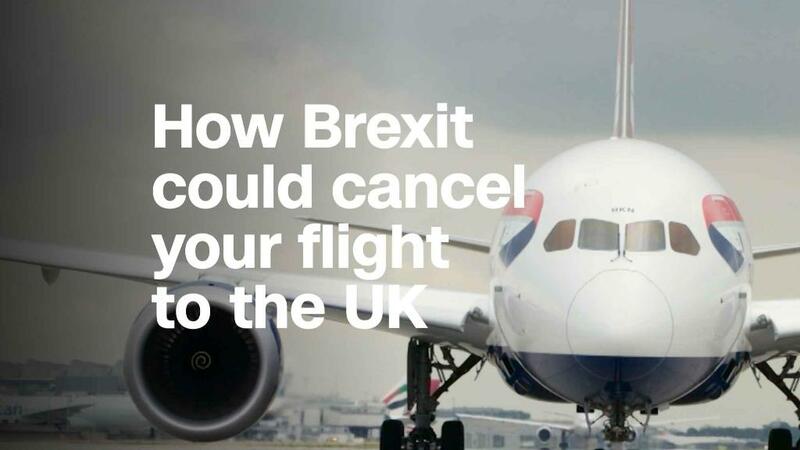 Brexit could force flight cancellations, and passengers may opt to stay home as they struggle with higher inflation resulting from the weaker pound. UK bonds could also see some big moves. John Higgins, chief markets economist at Capital Economics, said a no-deal Brexit could cause 10-year UK government bond yields to drop from 1.25% to 1% as investors crowd into the safe haven asset.